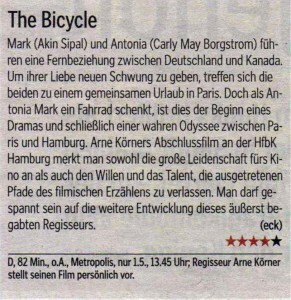 Mark (Akin Sipal) and Antonia (Carly May Borgstrom) have a long distance relationship between Germany and Canada. To revitalise their relationship they meet for a vacation in Paris. 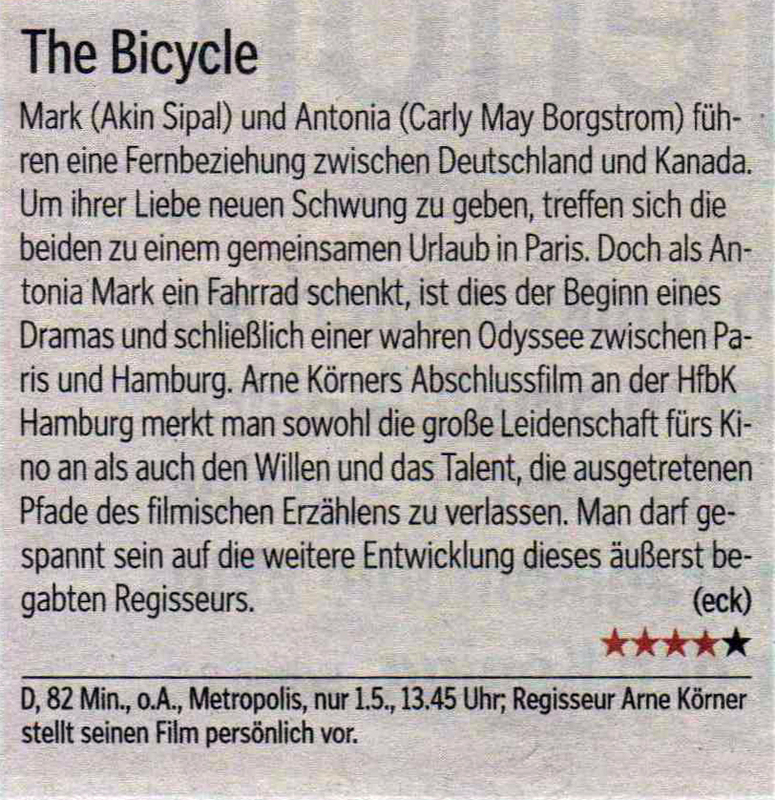 Once Antonia presents a bicycle to Mark it turns out to be the beginning of a drama and a real odyssey between Hamburg and Paris. The HFBK graduate thesis film directed by Arne Körner shows his passion for films as well as his will and talent to leave the trotted paths of cinematographic story telling. We have to be curious about the further evolution of this very talented director.